Art Print by Russell Flint. Matted and ready to frame. Art Print by Russell Flint. Matted and ready to frame. Titled "Amanda's Throne." Sir William Russell Flint Original Signed Print "Market Hall, Cordes" Rare! 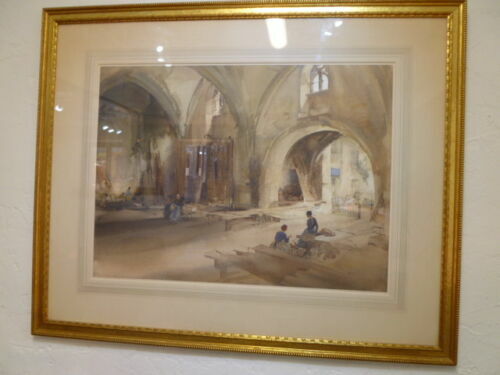 SIR WILLIAM RUSSELL FLINT SIGNED ORIGINAL Gothic "Market Hall Braulane"